Despite the mainstream popularity of his film and TV work, David Lynch has always seemed like an outsider. Nothing he makes (barring, perhaps, The Elephant Man and Dune) feels like it was created with commercial success and popular acclaim in mind. Whether or not this is true—artists, after all, gotta eat—is impossible to say, and it’s sort of besides the point. No matter what he does, Lynch does it his way. There’s no better example of this, T-shirt and drinks businesses included, than the commercials he’s made over the last few decades. 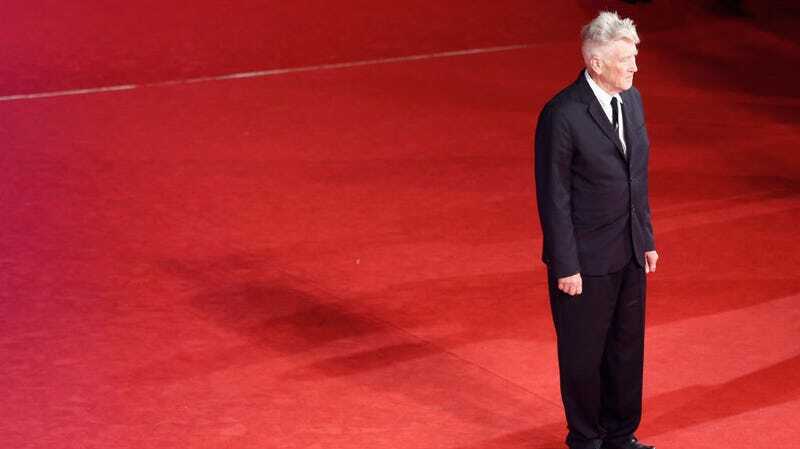 Lynch has acted as an unlikely salesman for everything from Alka-Seltzer tablets and PlayStation 2 game consoles to high-end clothing brands and the New York Department Of Sanitation. The above video, put together by Jeff Keeling, compiles the bulk of this work, giving you a thorough look into an alternative reality where TV commercials are directed not only to advertise stuff, but also be a total delight to watch for their own sake. We strongly encourage you to watch the entire collection. Would you want to miss a pasta commercial scored with synthetic carnival music in which Gérard Depardieu soothes a girl who trips and falls by making her lunch? What about an Adidas ad that communicates a long-distance runner’s perseverance by having the camera zoom inside his skull to show lightning bolts, fires, and scorpions while he screams in agony? You’ll never look at your running shoes, heartburn medicine, or perfume the same way again.